Susan explains why you shouldn’t believe everything you have hear about Anne Boleyn in the UK’s Huffington Post. Susan reviews “The White Queen” in the Huffington Post. For a longer version, check out Susan’s blog! Piece: When Fictionalized Facts Matter From Anne of the Thousand Days to Hilary Mantel’s new Bring Up the Bodies. A piece printed in The Chronicle of Higher Education. 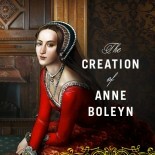 You can now read Susan’s piece “8 Anne Boleyn Myths Debunked” by clicking on this link or by clicking on the image above.